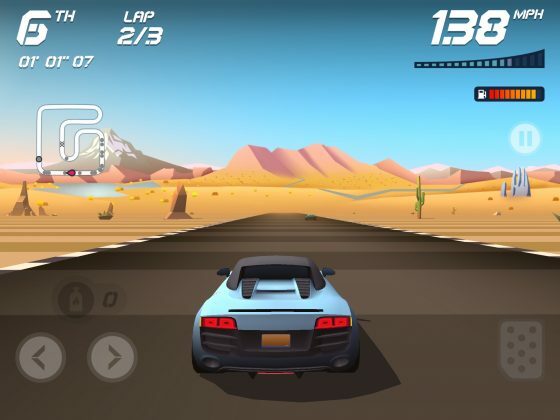 Take a simple yet challenging racing game, throw in a bunch of content, add a splash of nostalgia, make it affordable and premium — and you’ve got Horizon Chase: World Tour. 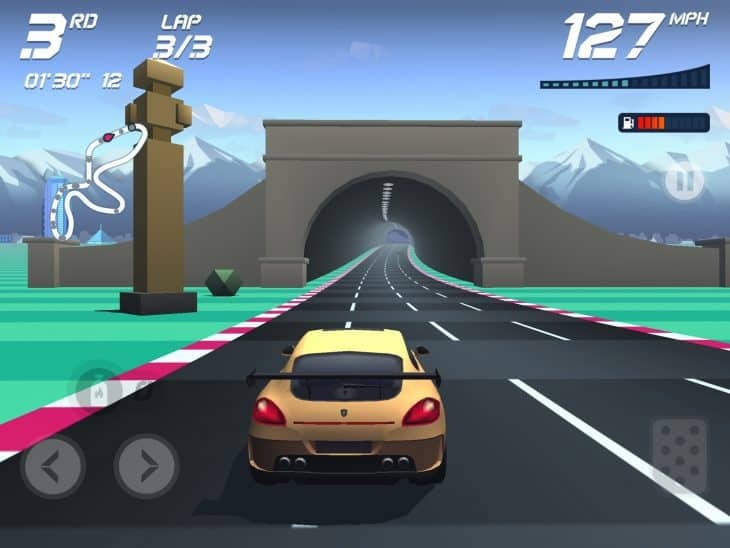 At a glance, you could assume that this is just another two-bit racing game not worth its salt. However, that is not at all the case, in-fact it is the exact opposite. The developer manages to take a bare-bones style of racing and keep it interesting for more than just a few races. 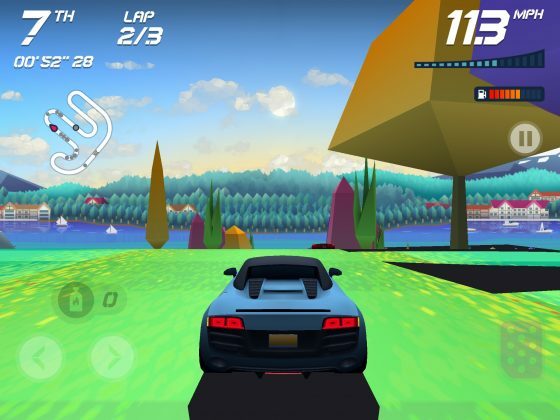 Horizon Chase: World Tour is a modern take on classic racing games like Top Gear and F-Zero. Visually, it isn’t anything extraordinary, but it was likely designed to match the simplistic play-style. You can tell there is plenty of detail between the various different tracks you play throughout the game, which provides plenty of visual variety to keep things from getting bland. On top of that, you’ve got a really sleek and nicely designed UI to help give it that modern look without taking away from the classic feel. You travel to several different major cities across the world, each equipped with their own unique tracks. New areas are unlocked by reaching a certain number of currency, which is earned by completing races. The amount of currency you receive for each race has a maximum cap, and you can’t earn anything from that specific race once you’ve reached the cap. Reaching the maximum score must be done in one attempt of the track as well, meaning only a new high-score will be beneficial. Scoring is determined by three different factors: where you place in the race (~85%), the amount of coins you collect during the race (~10%), and the amount of fuel you have at the end of the race (~5%). This mechanic allows skilled players to advance quicker through the game by having perfect races, and also gives a reason to re-visit previous races that still have points left on the table. Things stay pretty challenging throughout the game, with the exception of the first couple of races being very easy while you get acquainted with the game. For the most part, your focus should be on avoiding running into the back of other cars, and executing your turns without losing speed. You do get three NOS boosts, and certain tracks have bonus NOS you can collect during the race, and these really come in handy on straight paths and catching up after a mishap. Fuel is an interesting mechanic that can easily be ignored on certain tracks, but can be absolutely vital on others. Your car gradually uses fuel which is replenished by collecting fuel icons during the race, but the location of the fuel is what can be a challenge. Both the fuel and blue coins are in set locations for each race, so some races are designed to only have three or four fuel tokens set it one small line during a very sharp turn, which doesn’t make it very easy to collect them without slowing down. In some cases, there’s a fine line between simple and downright easy, but not so much here. After the first couple of races, I never felt as though the game was getting too easy, and I always had to be on my toes as it can get rather unforgiving when you bump into the back of too many other racers. Even though it may not have jaw dropping physics or in-depth car customization, it is still plenty of fun. One other gameplay aspect I wanted to touch on, was the simple car upgrade system that offers a non-linear path to how your vehicles will perform. You’ll score upgrade tokens by placing in bonus races (unlocked by a certain number of coins), which can be used to apply a permanent buff to any vehicle you drive. Each token you get has three different choices, and each choice provides the buff to two different stats. This allows you to prioritize certain stats that are more applicable to your driving style or favorite vehicle. 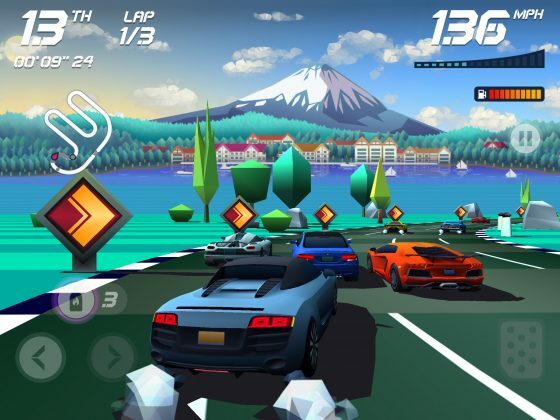 In total, there are 8 different cups with 9 races each, which adds up to a grand total of 72 unique races throughout the campaign of Horizon Chase. Each cup takes place in a different country, with three different major cities hosting three of the tracks. Along the way you can also unlock up to 16 different vehicles with their own designs and base stats. Depending on the length of the track, races can take about a minute and a half up to three minutes — which means you’ve got quite a bit of play-time even if you only raced each track once. 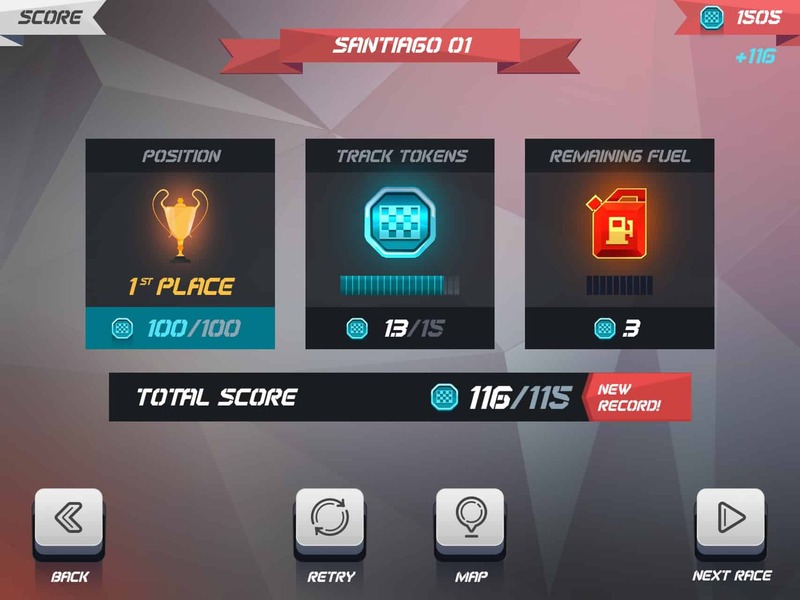 Although you can progress through the game without getting first place in every race, there are bonuses for placing first for all races in a cup, so just settling for second isn’t really a viable option. It isn’t really worth the time to re-play the same race several times trying to get first, since the amount of coins you’ll get compared to placing in the top 3 for a fresh race scales in comparison. 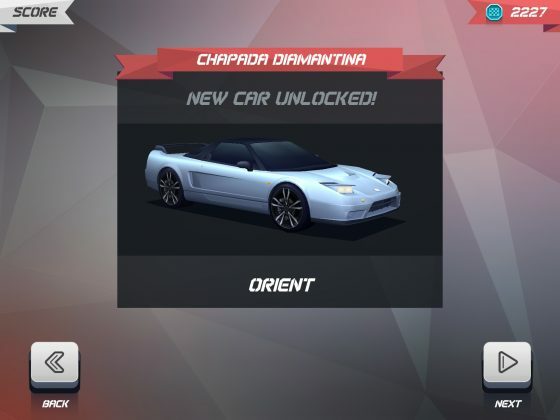 Waiting until you unlock a new car will help ease the process, and adds some space in-between races on the exact same track — a subtle but very nice aspect of how progression is designed. As much as I would have loved to have seen a multiplayer mode or some sort of additional game mode outside of the campaign, I’ll give it a pass this time. 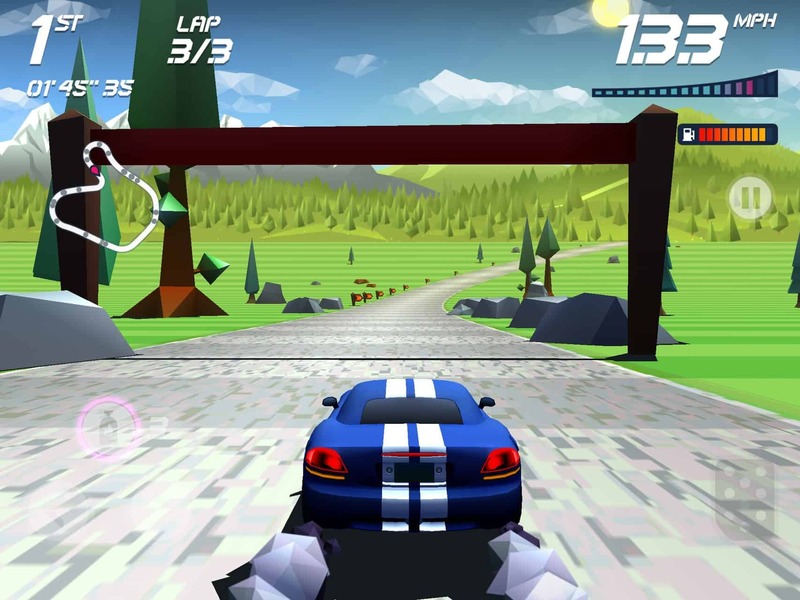 Usually lack of mode variety loses points for me, but it’s clear that Horizon Chase was designed in a very specific way, and it works very well in this particular case. 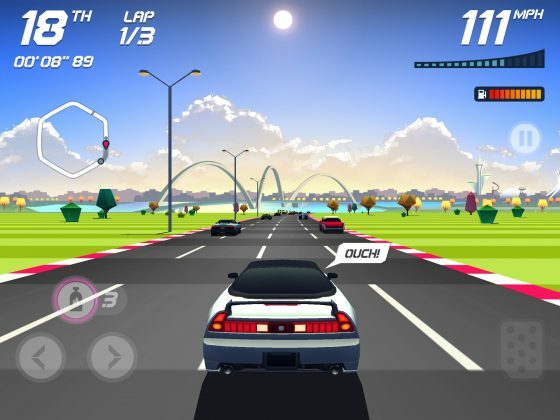 First of all, there are absolutely no IAPs in Horizon Chase, so you get all of the content for the $2.99 door price — which is quite reasonable when you look at the content. You’ve got a bare minimum three hours of intense gameplay on brand new tracks (yeah, that’s like a dollar an hour). That’s of course, if you just cruise through each race without every looking in your rear view mirror. There’s no reason to not give each track at least one more go, even if you got first place the first time. 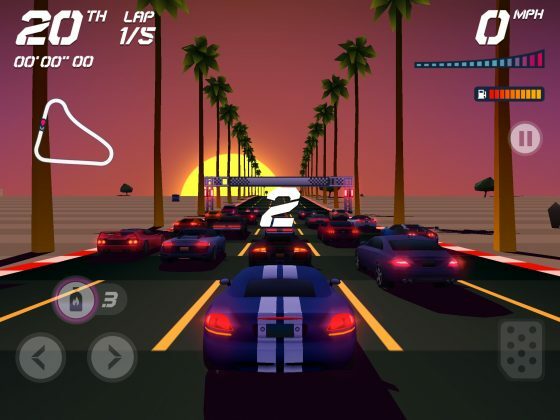 Overall, it is definitely worth the money if you’re looking for a fun racer for your iPhone or iPad. Not only will you enjoy it, but this is probably a decent racer for kids to get started with as well — although I believe our driver doesn’t have 100% kid friendly language. Horizon Chase: World Tour is an all around fantastic mobile game with plenty of unrestricted content and an affordable premium price. You don’t need to be a huge fan of racing games, classic or modern, to enjoy the simplistic and addicting gameplay. Splashes of intelligently designed progression aspects keep things interesting and challenging throughout the entire experience. Horizon Chase: World Tour is an all around fantastic mobile game with plenty of unrestricted content and an affordable premium price.